Years as a journalist, writer, and television producer have provided valuable lessons in the benefit of research. But sometimes, research is simply not possible. Given the reticence of some of the Sisters of Charity to speak publicly in the past, many of their ministries have not been recorded. 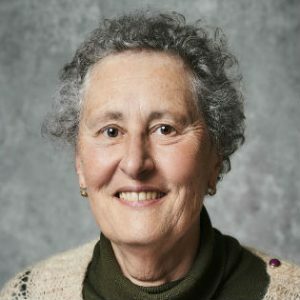 Before going to Melbourne to interview Sr Loretta, I checked this website, and then Googled her. She can be found in images here, and on LinkedIn, which told me what I already knew – that she had been a nursing Sister, and was a Sister of Charity. I knew her current ministry was as a pastoral associate at St Pius X in Heidelberg West – but we will come to that. It is not often that an interview has the sweep of the one Sr Loretta sat down for at the Mononia Convent in Fitzroy. It began in her father’s birthplace – Istria. During the days of Venice’s maritime empire, this peninsula at the top of the Adriatic, had guarded the city and provided the limestone which built it. Post-World War II, Istria was a casualty of war, hewn from Italy and largely given over to the newly created State of Yugoslavia. Her father went back to his country of origin, Italy, after the war, and met her mother in Treviso. Like millions of others, Loretta’s family became refugees, although she had never really thought of their move in those terms. They went to Toulouse in France where her two siblings were born. “We spent eight years there,” said Loretta. “But eventually Dad was hopeful he would be able to establish himself better in Italy.” When Loretta was 10, her family made another momentous move – this time to Ballarat, to where her father’s sister had already emigrated. In 1957, Loretta was not overly happy with the change of location, which had been preceded by the older generations of her Italian family teaching her all they could in terms of domestic skills. That included sewing – a talent of Loretta’s which is widely admired through the Congregation to this day, and which forms the basis of another of her ongoing ministries. But influenced by her aunt’s spirituality, she found her strength in her own – and that is a strength which continues to this day. When she left school, she got a job waitressing at St Patrick’s College in Ballarat. But soon Mirella was working at St John of God in Ballarat, and Sr Loretta began her own training at the Queen Elizabeth Hospital there. Family life was still difficult so the two sisters wanted to leave Ballarat: “Home was not happy,” she said. The pair went to Melbourne, where Mirella applied for a job to train as an enrolled nurse at Caritas Christi, Kew, and . “I asked her to see if there was a job for me.” There was and they ended up working together. However, there was a way. When she was at Caritas, she began a process of discernment. Sr Leo, who was in charge at Caritas Christi, was an inspiration. A friend entered the Congregation, and then at 21, Sr Loretta entered as well. After three years, 1972 – 1976, she went back to Caritas Christi Hospice in Melbourne. There, Sr Dorothea asked her to do a post-basic geriatric course, after which she set up a day centre for palliative and aged care. Thursdays were the days for the Italians, the rest of the weekdays for any clients with needs. “I loved Thursdays. 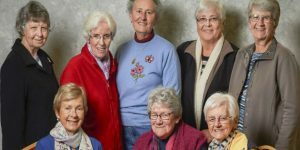 People were flourishing and I could see it in their faces.” After five years, Sr Loretta went to Marycrest in Brisbane, where at Sr Nola’s request, she became supervisor. Two years on, she was in Canberra, ministering at L’Arche community – a posting she loved. Loretta then completed a clinical pastoral education course (CPE) and ministered for two terms at St Vincent’s Hospital in Sydney. It was an experience which fed straight into her focus on spirituality. After that came a sabbatical, which took her back to Toulouse, Treviso to visit the family, Ireland, and Jerusalem. When she came back from her sabbatical, she had to find a role. It was the first time since Sr Loretta was in her teens that she had to look for a ministry herself – she had been assigned to everything in between her nursing training and then. She applied at Assisi Aged Care in Rosanna, and got a nursing role in aged care. She spent 13 years there until she retired a couple of years ago. She swims at least twice a week to help keep arthritis under control, and is assisting her sister Mirella who is not too well. “I try to recognise that each moment is a gift to cherish and to live it the best I can with love,” Loretta said.